An ancient Egyptian scarab with the cartouche of Pharaoh Thutmose III was recently found by a hiker in the Lower Galilee of Israel. During Thutmose’s reign, Canaan came under Egyptian rule. Photo: Clara Amit, Israel Antiquities Authority. While hiking with his family along an extinct volcano known as the Horns of Hattin in Israel’s Lower Galilee, Amit Haklai made an incredible discovery: He spotted amidst black basalt rocks what turned out to be an ancient Egyptian scarab from 3,500 years ago! The white-colored ancient Egyptian scarab was examined by Dr. Daphna Ben-Tor, the Jeannette and Jonathan Rosen Curator of Egyptian Archaeology at the Israel Museum in Jerusalem. A cartouche is an ancient Egyptian symbol in which an oval frame encircles the name of an Egyptian royal in hieroglyphs. 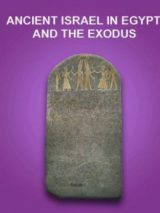 In the free eBook Ancient Israel in Egypt and the Exodus, top scholars discuss the historical Israelites in Egypt and archaeological evidence for and against the historicity of the Exodus. Thutmose III was the sixth pharaoh of the 18th Dynasty (c. 1479–1425 B.C.E.) in the New Kingdom of Egypt. For the first 22 years of his reign, he ruled as co-regent with Queen Hatshepsut, his stepmother and aunt. Thutmose III led a number of military campaigns in the Near East and Middle East; it was during his reign that Canaan came under Egyptian rule. Thutmose’s conquests, including a successful battle at Megiddo, are recorded on the walls of the Temple of Amun at Karnak. Thutmose III’s 17 campaigns in Syro-Palestine … took place almost every year for the next two decades. The Megiddo campaign may well have been the most significant, for it immediately reestablished Egyptian authority in the area and showed the Canaanites that their overlords were there to stay. The Egyptian presence in the southern Levant remained firm for the next 200 years. Read more about the ancient Egyptian scarab discovered at the Horns of Hattin. Eric H. Cline, “In Pharaoh’s Footsteps,” Archaeology Odyssey, Spring 1998. Nadav Na’aman, “The Trowel vs. the Text,” Biblical Archaeology Review, January/February 2009. Gay Robins, “The Enigma of Hatshepsut,” Archaeology Odyssey, Winter 1999. “When a Woman Ruled Egypt,” Biblical Archaeology Review, March/April 2006. Not a BAS Library member yet? Join the BAS Library today. What Did People Eat and Drink in Roman Palestine? 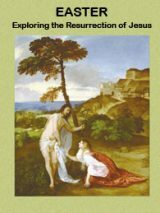 Dig into the illuminating world of the Bible with a BAS All-Access membership. Combine a one-year tablet and print subscription to BAR with membership in the BAS Library to start your journey into the ancient past today!